Kalin Haydon is an American photographer from Illinois who turns her lens toward bingo halls and bowling alleys, capturing the culture of her grandparents, who came of age in the post-war era. This project is called American Nest, and it looks at the entire culture of bowling and bingo – the people, the places and the quiet little moments in-between the action. This creates an honest, nostalgic aesthetic that we just love. Do have a look at more of Haydon’s work on her website over here. This entry was posted in Photography and tagged Bingo, Bowling, Kalin Haydon, photography on December 29, 2017 by stellenboschacademy. Simen Royseland is a design student in Oslo and when we saw this great zine he made about the philosophy of stoicism, we had to share it! If you’re unaware of ‘zines’ as a design genre, think of them as low-budget self-produced magazines (zines) where a person is able to have full creative control and make exactly what they want. This is fun for us design-nerds because it allows the designer of the zine to really push themselves and create something fun that pushes the boundaries. This one by Simen Royseland is such a great example, but if you need further info on stoicism as a philosophy, we suggest you go to Wikipedia – there definitely isn’t enough time to go into it here! This entry was posted in Design, Illustration and tagged Design, Enchiridion, Illustration, Simon Royseland, Zine on December 27, 2017 by stellenboschacademy. What a smart campaign by Rethink Montreal for Carex Mini Storage! Built from the line: Small Spaces For Your Big Secrets, this beautifully illustrated work shows recognisable figures living out their secret lives as well as a conspiracy theory that people love to talk about. With a minimalist, isometric illustration style – you just can’t go wrong. This entry was posted in Art Direction, Illustration and tagged Art Direction, Carex Mini Storage, Illustration, Rethink Montreal on December 26, 2017 by stellenboschacademy. Malmö Chokladfabrik is a high-end chocolatier in Sweden with a great appreciation for design. Here, they turned to Pond Design for help launching their price laddered offer of chocolate cones and bars. This allows for a more reasonable price-point for the product and allows more people to access it. The great news is that rather than going with a design that may suggest ‘cheaper’ or ‘less than’, the design they went with brings high end quality down to an affordable cost. This entry was posted in Design and tagged Chocolate, Chocolate Bar, Design, FMCG, Malmo Chokladfabrik, Packaging, Pond Design on December 25, 2017 by stellenboschacademy. Estelle Hanania is a French photographer who blurs the lines between fashion, fine art and documentary photography. She photographs ‘real people’, not models, which allows the relationships they have with each other to become part of her work. See more at her website here. This entry was posted in Photography and tagged Estelle Hanania, Fashion, photography, Portraits on December 22, 2017 by stellenboschacademy. Utah-based Daniel Everett’s photography is something to behold. While architectural, he’s captured the light in such a way as to make all of these disparate places and buildings feel almost as if he was able to shoot them in a studio. They’re flat, sterile and maybe even make the viewer feel a little uneasy – but they’re absolutely compelling. Check out more of Everett’s work on his website here. 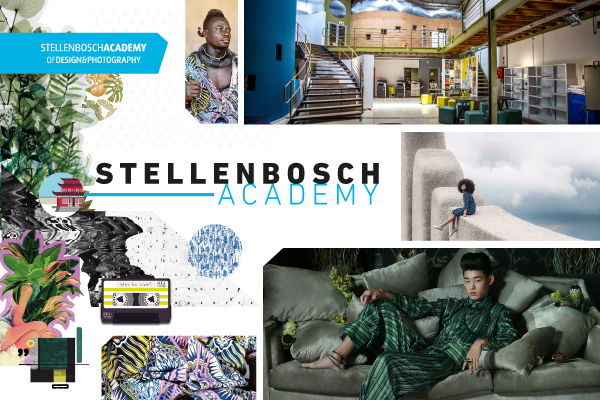 This entry was posted in Photography and tagged Architecture, Daniel Everett, photography on December 20, 2017 by stellenboschacademy. We love this 30’s / Great Gatsby inspired work by Satellite Office for Tom’s Town Distilling. It’s just spot on. The attention to detail is just superb, from the intricate illustrations through to the perfectly considered treatment of type. This is what you call Great Design! This entry was posted in Design, Illustration and tagged Design, Illustration, Satellite Office, Tom's Town on December 19, 2017 by stellenboschacademy.